This is my personal project that includes design and development of the website, logo and business card. Website Design and Development. 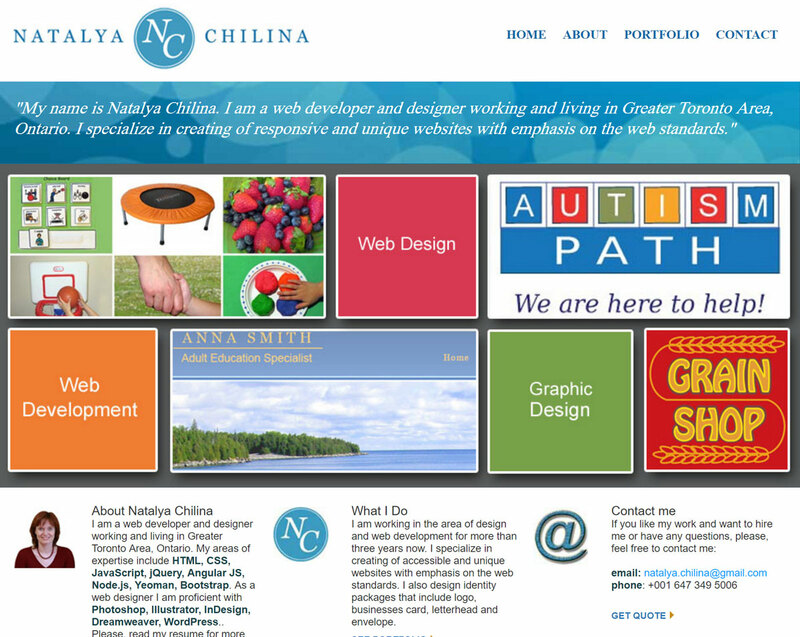 Each version of my webiste www.chilinadesign.com is driven by the desire to learn a new technology or implement a new web design trend. In this version of the website, I was focusing on implementing the Responsive Web Design Technique using CSS media queries. Try to change the browser window size and see what happens. Please note, that CSS media queries are not supported by IE 8 or lower versions. The site was designed in Photoshop, developed in Dreamweaver using HTML and CSS and hosted by Dreamhost. Logo Design. I needed a simple logo containing my name and/or initials. The design was implemented on Illustrator.